Reiwa - Japan's new imperial era - adheres to the established naming custom in that it comprises two kanji characters - rei and wa - and is easy to read and write. But it also represents a break with centuries of tradition as the first era name to have been inspired by a Japanese, rather than Chinese, work of classical literature. The characters are taken from a stanza in a poem about plum blossoms that appears in Man'yoshu, the oldest existing collection of Japanese poetry, compiled sometime after 759. Placed in that literary context, the kanji can be read to mean "fortunate" or "auspicious", and "peace" or "harmony". Some on social media said the name had more authoritarian overtones, noting that the first character also means "order" or "command", and features in the Japanese words for official announcement and law. The second character also appears in Yamato, an old word for Japan that has militaristic connotations. Japan is the only country in the world that uses the era name system, or gengo, which has its roots in China, although the Gregorian calendar is also in common use. The country has adopted almost 250 eras since the gengo system began in the seventh century. In the past, emperors would change era names mid-reign to foster a spirit of renewal after natural disasters or crises, but more recently, a single era has been used to mark a monarch's entire reign and can also be applied posthumously. Japan's emperor during the second world war, for example, is now referred to in Japan not as Hirohito, but as the Showa emperor. The naming of a new imperial era for Japan - and for only the third time in almost a century at that - carries enormous significance. 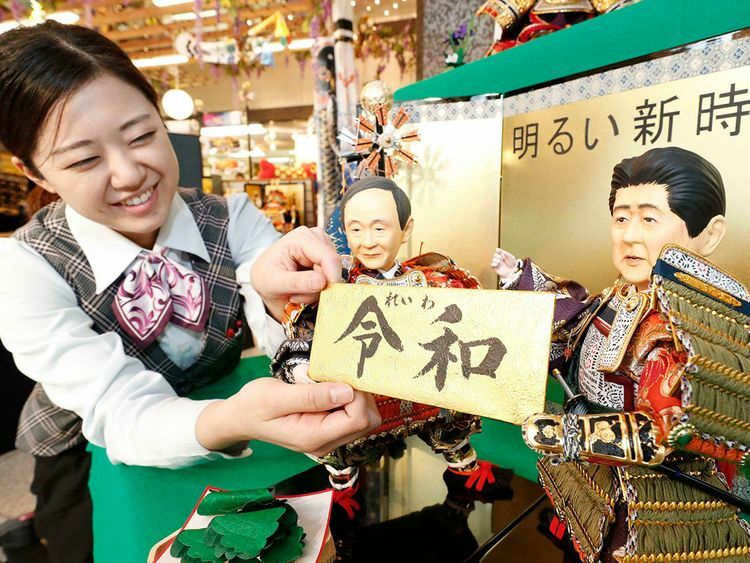 Like gengo throughout Japan's modern history, Reiwa is supposed to reset the national mood ahead of the new emperor's reign, which begins on 1 May. According to Japan's prime minister, the new era should encompass pride in the country's history and traditions along with hope for the future. The new name has also had an unexpected beneficiary: the Real Estate Institute of Western Australia (REIWA), which has seen a surge in traffic to its website - most of it from Japan. The institute, whose chief executive has reportedly been interviewed by Japanese media, said on Twitter that it welcomed the new era with which it shares a name, and reminded followers that the tweet was not an April Fools' joke. Like previous imperial eras, Reiwa will over time become closely associated with significant domestic and national events. The Meiji (enlightened rule) era of 1868 to 1912 is remembered as a period of western-inspired modernisation; the Showa era (enlightened harmony), which began in 1926, is remembered for Japan's rapid economic development, but is also inseparable from the rise of Japanese militarism and the second world war. The three decades of Heisei evoke similarly ambivalent feelings: the period saw the end of the bubble economy and deteriorating relations with China. Many will forever associate it with the 1995 terrorist attack on the Tokyo subway the Kobe earthquake, and the triple disaster of earthquake, tsunami and consequent Fukushima meltdown of March 2011. According to poll by Kyodo news agency, 39.8% of respondents will use both the new gengo and Gregorian calendar in daily life, with 24.3% saying they preferred the former and 34.6% the latter. Not everyone shared the generally enthusiastic reception the new era name received on Monday, with some describing it as a throwback to prewar monarchism. "Japanese society is no longer controlled by an emperor," Hiroshi Kozen, an emeritus professor of Chinese literature at Kyoto University, told Kyodo. "The era system should reflect people's desires, and that should start with a discussion about why we need it," he said.